MG Aluminium & Glass Works specialized in aluminium works and interior design for commercial and residential buildings. Our main office is located in Skudai, Johor Bahru (JB). 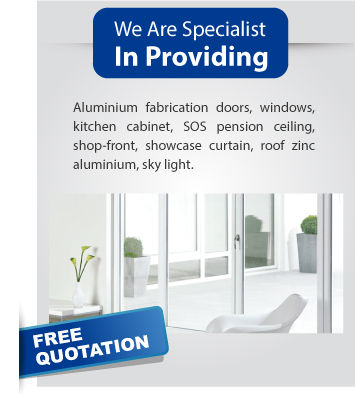 We have many years of experience in providing aluminium services and products. Over the years, we’re constantly improving our inventory, and offering the latest looks aluminium products at great prices.